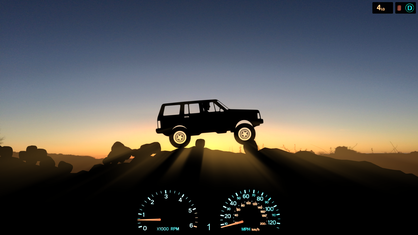 XJ is an off-roading sim endless runner coming later this year to iOS and Android. 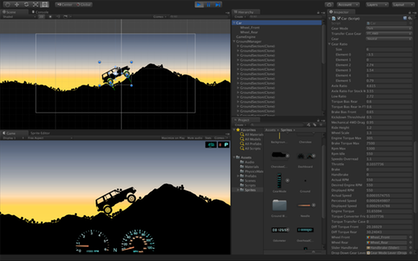 It will be really easy to control (touch the screen on the right to accelerate, the left side to brake. 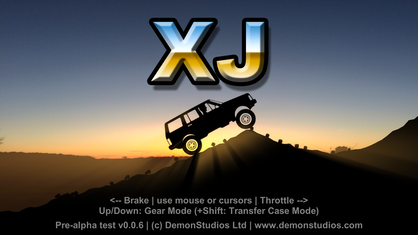 You also get full control of the transfer case and gear selector of the old style classic Jeep XJ 4x4. Graphics and sound are all still to be finalised - sorry the engine sound is so bad in WebGL (it doesn’t like looping sounds for some reason). 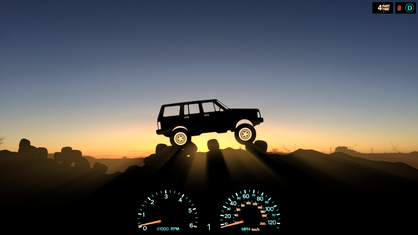 It’s mostly all still placeholder - but the silhouette graphics and sunset flare is the visual style the final game. Engine power, torque and gear ratios are all correctly modelled, as is the transfer case. I still need to tweak the automatic transmission's torque converter to be more realistic, as well as the ground surface friction values, but the aim is for it to be really cool simulation of off roading and rock crawling. The ride height and wheel size will be scalable too - though you probably won’t get very far on a stock setup! So give the pre-alpha demo a try, and if you like it please get talking about it with your friends and feel free to email me feedback. I want this game to be a game the gamers want so the more people say what’s good and bad while in development the better I can make it!